As co-founder of Medallion Wealth Management, Inc., Mr. Hazen brings over 15 years of experience as a financial advisor providing objective financial guidance and unbiased investment advice to individuals, families and business owners. 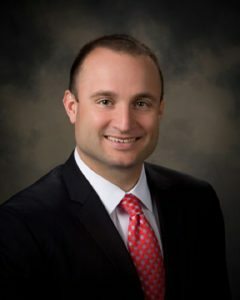 Previously, Art served as an officer and investment specialist with First National Bank covering 17 of its branches; and in 2008, he joined a local RIA firm, as Vice President and Director of Retirement Plans. As President of Medallion Wealth Management, Inc., Art is responsible for the overall management of the firm, in addition to managing the investment team and daily office operations. He oversees the Corporate Retirement Plan and Endowment Plan of the firm. Well known in the retirement arena, Art is the author of several articles appearing in national and local publications. He is often asked to serve as a speaker on a variety of retirement plan topics. Art is highly active with Big Brothers, Big Sisters of Greater Pittsburgh. Since 2009, he has volunteered as a big brother to his little, Floyd, and has sat on their Board of Directors since 2010. Art is currently the Chairman for the organization’s largest annual fundraising event, “Bowl for Kid’s Sake”. He is also a proud member and board member of Pittsburgh’s Entrepreneurs Organization. Art lives in Moon Township with his wife, Natalie and their two daughters.